I couldn't help myself. 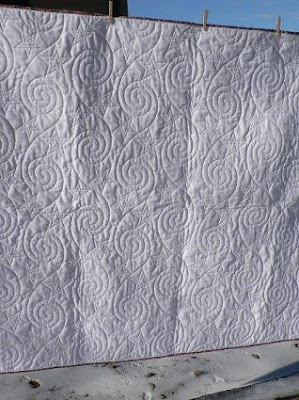 When I saw how much space was between the spirals on the new Circle Lord Milky Way template I thought, WOW! I can use the spirals as a spine and quilt feathers between them. This is a cool way to use the template. The pattern is the Disappearing 9 Patch, Hobbs 80/20, YLI on top, Magna Glide on the bottom. 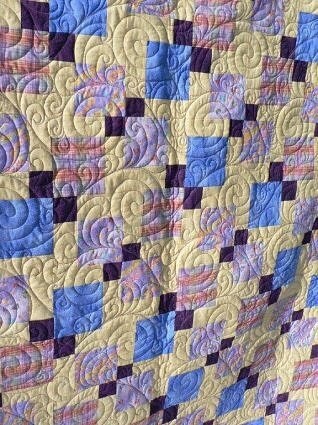 This is the first time that I've quilted hooked feathers and I can sure use more practice, but it was fun to do. 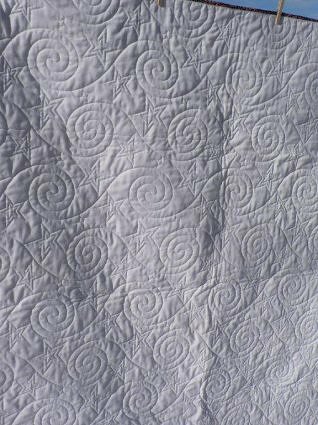 I turned the quilt sideway to see how the quilting looked and think it looks really neat this way. I've been quilting a lot of the guild's community quilts and we are starting to make more military tops so I got the new Circle Lord Milky Way template to use on them. 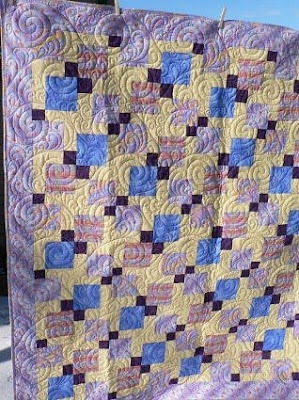 This quilt is made with the Disappearing 9 Patch pattern, 56" x 62", quilted with Hobbs 80/20, Rainbows RW&B on top, and Magna Glide in the bobbin. I stitched the nested stars because I wanted to see how long it would take to do the full design. 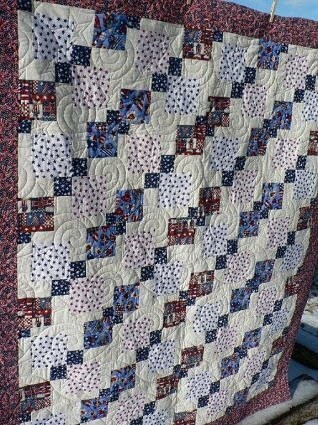 This quilt took about 2 hours which I thought was quick and the template was very easy to follow. Another super Circle Lord template. Great job, Michael! 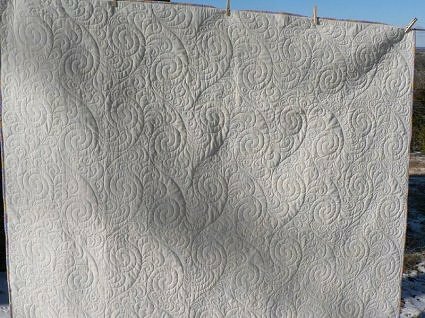 I love the way the quilting looks and the swirls cascade when the quilt is turned sideways. 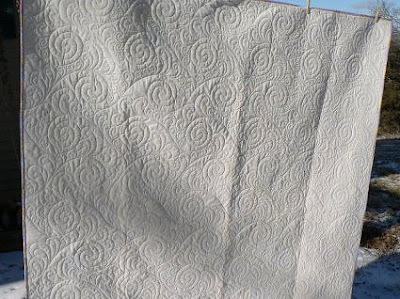 It gives the quilting an entirely different look!